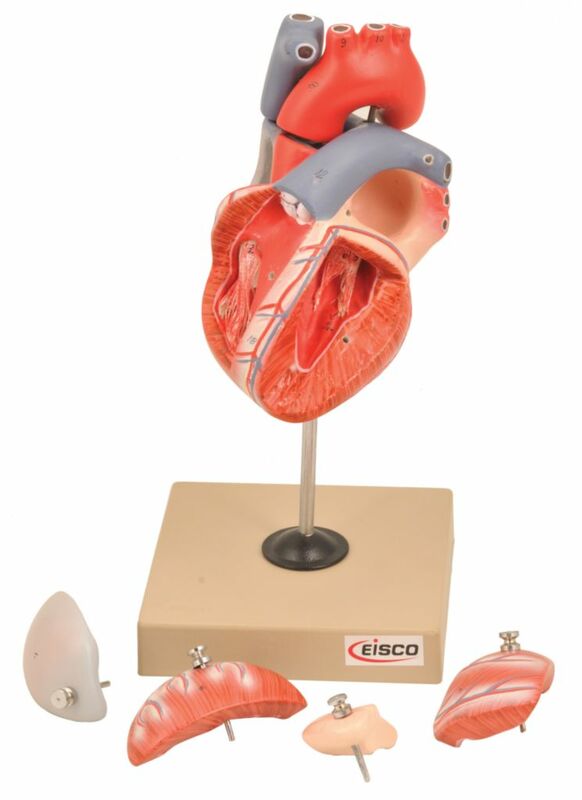 This hand painted heart model separates into 7 parts and comes on a base. It is sectioned so that both ventricles and atria open to expose the valves. Large blood vessels near the heart and musculature of the heart are shown as well. The model is numbered and comes with a key card.